Recorded on location in Venice, July 2003, Amann Studios, Vienna, Jan-Feb 2004. Tracks 1 to 7 and 9 to 12 published by Touch Music (MCPS). Track 8 published by Touch Music_Opium (Arts) Ltd.
℗ and © 2004 Touch. Released in standard Digipak with clear tray. VENICE might bring up images of gondolas, canals and Piazza San Marco, but Fennesz has a different view: the refractions and wanderings of "Rivers Of Sand," for instance, or the drifting warmth of "Château Rouge" that suddenly surges forward. But "City Of Light" stays on the ambient side, with long, sustained tones, and "Circassian" loads on the layers of guitar haze. "Transit" introduces more of an industrial feel at its start before David Sylvian brings his croon to bear, while "The Point of It All" returns to moody atmospherics. 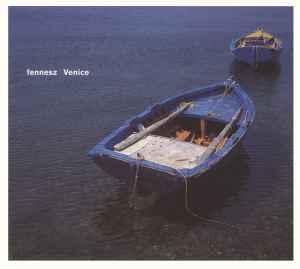 The album ends with the noisier "The Stone of Impermanence," which goes to show that Fennesz's view of Venice is surely a personal -- albeit beautiful -- one. This album (his best in my opinion) needs a vinyl reissue BADLY! This piece of work blends together seamlessly,creating an atmosphere of liquid pleasure,it holds together so well,listen to this as the sun sets with a chilled glass of wine,BLISS. If you like My Bloody Valentine, shoegazing, anything lush and thick you must buy this album. I won Fennesz's Plays, Hotel Parallel, Return of the Fennoberg and this one, which I picked up just the other day. Venice is prolly the best cd I've picked up since the Snare's HCCBU came out. It has the electronic equivalent to droning guitars playing over slight pops and bubbles of pleasant electronic goodness, like listening to sun light pouring down upon and streaming over the ocean as waves roll over dancing fish. Its great.